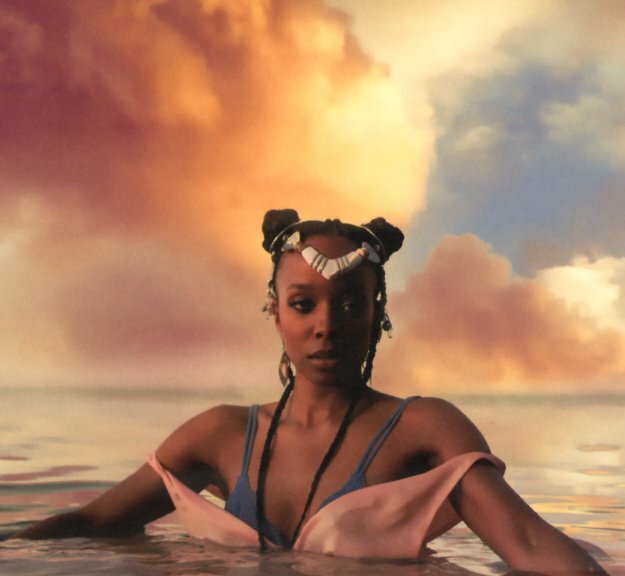 A fantastic debut from Chicago soul singer Jamila Woods – the kind of artist that makes us very proud to be located in the Windy City! Woods is an extremely inventive lyricist – strongly inspired by poetry, but also immediately trying to communicate in a wider spectrum with her sound – at a level that's maybe even smarter and more sophisticated than you'd guess from her look on the cover, which might make you think that she's just another pretty face in mainstream music! Instead, Woods seems ready to reinvent the role of the female singer in soul music – getting help from hip collaborators who include our hometown hero Chance The Rapper, as well as Nico Segal, Saba, Lorine Chia, and Noname. Titles include "Bubbles", "In My Name", "Popsicle", "Assata's Daughters", "Blk Girl Soldier", "Emerald Street", "Breadcrumbs", "Stellar", "Holy", and Good Morning" – plus "LSD", a tribute to our city's great lakefront! © 1996-2019, Dusty Groove, Inc.